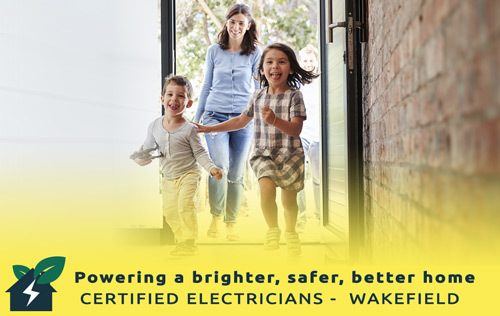 Looking for a certified electrician in Wakefield? Or in Leeds, Pontefract, Castleford, Horbury, Ossett, or elsewhere in the district? Finding a reliable and professional electrician to help you with your electrics is not always an easy task. Maybe you need some new LED lights fitting in your kitchen, to maximise its brightness or ambience, or your new property requires a full rewire. You might also have a problem with your electrics or need your consumer unit upgrading. 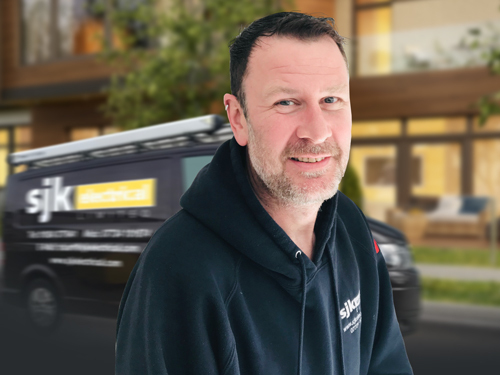 Wherever you are in the Wakefield and Leeds districts and whatever the nature and size of the project, you can trust Stuart Kershaw and SJK Electrical to help you gain a brighter, safer and better home. We can help you reduce your energy bills and make your living space more appealing using LED lighting. Why not ask for a free survey? Worried about the state of your electrics? We can test your electric circuits and appliances to make sure they are up to current safety standards. Make sure that all your electrical equipment is safe to use too with our Portable Appliance Testing (PAT) services too. If you’re looking to make the transition to electrical vehicles, we can install charging points at your house and help you obtain a government grant too. 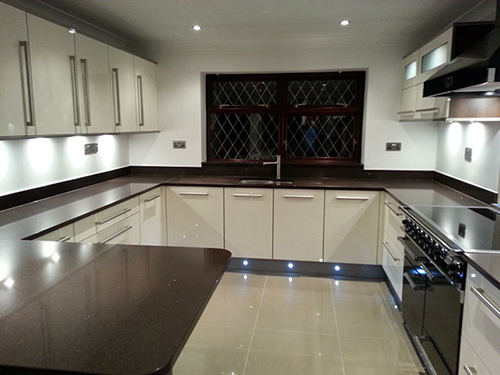 If you’re having a new kitchen fitted, make sure your electrics are up to standard by using a certified electrician. SJK Electrical can install lighting to brighten up and add ambiance to the room whilst ensuring that the electrics are completely safe. Worried about your consumer unit (or fuse box, as you may know it)? Don't take any risks with the safety of your property and ask SJK Electrical to come and do a health check on it. We can carry out any necessary repairs or upgrade it to confirm to current safety standards, if required, and ensure that your house and its appliances are safe. TIP: If your consumer unit doesn't contain a residual-current device (RCD) you will almost certainly need to upgrade it. If you are in any doubt, call us and we can offer an assessment. Help yourself and your family feel secure in your home. SJK Electrical can install and check your fire alarms to confirm to the strictest safety standards. By working with SJK Electrical, you can be rest assured of a quality service with fair and competitive rates. Your electrician, Stuart Kershaw, has over 25 years’ experience. So can count on his expertise to find you the most appropriate and secure solutions. We’ve had to pass stringent quality control measures to gain our NicEic accreditation (including part P registration for domestic installations), so you can have peace of mind that our work will be top drawer. Being Part P accredited means our work is guaranteed for 12 months. That means in the rare case that there is a problem, we’ll be back out to put it right free of charge – no worries. SJK Electrical would be delighted to give you a free quotation for your project - with no pressure and no strings attached. Just give Stuart a call or use our contact form! + £30 per hour thereafter. Illumination of kitchen with under unit lighting and spotlights, plus underfloor heating.